When you are considering someone to speak on your behalf, or your companies behalf you want to make sure that they are not only talented but also trained to do so. 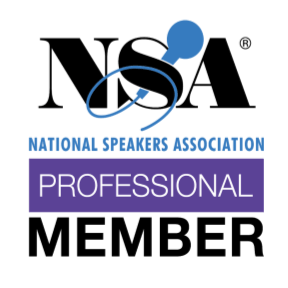 Jared Wade not only continues his training through Toastmasters International, but is also continuing his professional career and relationship with the National Speakers Association. Those that have hired Jared for their event, with as little as 15 people, up to people with 5000+, have been extremely happy with how the event went, and how they were represented and treated throughout the entire process! Making sure that you are in good hands allows you to enjoy the event, and know that your brand is not only safe and secure but so is your position in your company! Pricing starts at $1000 for local service. Come on down for the greatest game show ever! Over the years, Jared and his team have seen one constant when it comes to corporate events in Indianapolis as well as nationwide… employees and clients LOVE to compete! It is normally all in good fun, but there is that normal human instinct of wanting to win and what better way to do that than to provide a live game show for them!? Partnering with JWE Game Shows, we are able to provide the BEST in interactive entertainment for whatever your event is! The other great part about Game Shows, is they are extremely customizable and scale-able for your room size, amount of people playing, focus of the game and more. They literally are the best solution for any event where you want to bring in a flavor of familiarity mixed with the visuals for shock and awe. Game Show options are available nationwide! Pricing starts at $1000 for local service. The classic corporate party element has been and always will be a solid dance party! Sometimes you just want to show up, have a couple drinks and be silly out on the dance floor to old classics and new hits. One of the things that JWE Corporate prides our self with is the ability to provide music that all generations and demographics can enjoy. We don’t trick anyone into dancing because we take time to build a rapport with the guests, and allow them to trust that they will be welcome on that dance floor when the time arises. Providing the best in high-quality sound support, lighting elements, microphones, and music that is updated weekly allows JWE Corporate to provide the absolute best for you and your team for any event that you are putting together! 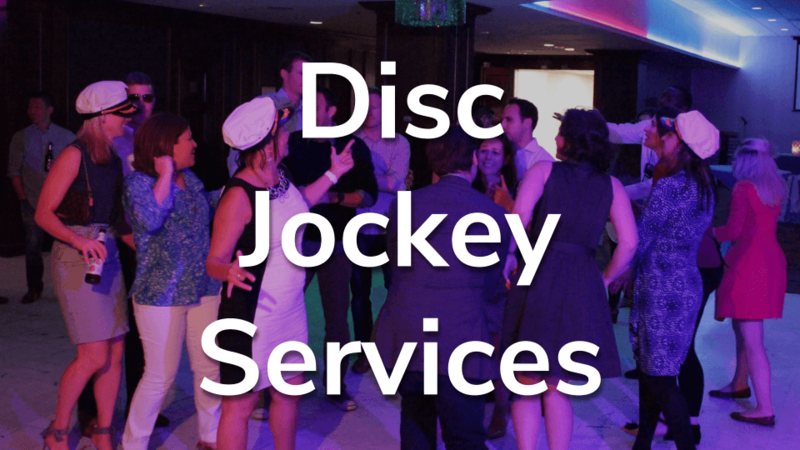 Disc Jockey Services are available nationwide! Pricing starts at $1000 for local service. Over the past several years, JWE Corporate has been asked how we might be able to help in an area of business that sometimes can be very stale. Trade Shows and Booths are one of the biggest ways companies can pull in new clients and business. With that, companies that have worked with JWE Corporate know that when we create customized elements for them, they have a better ROI. Since starting the Trade Show/Booth Engagement service, our clients have seen tremendous growth in contact and closing within the show community. We are able to take your booth and show to the next level by building as small, or as large, of a visual draw to get more clients into your space while creating a fun, new and exciting experience for them, and for you. Want people talking about your business long after the show? Entertain them, and pull them into something deeper than just a sales pitch. Trade Show Engagement options are available nationwide! Pricing starts at $450 for local service. Color is just as powerful as words. When you think of Target, you think red. When you think Old Navy, you think blue. When you think JWE Corporate, you think dark yellow and grey… well, if you didn’t before, you do now! Good uplighting is the most powerful tool you have when you are in a venue, and you want your brand to be known from the moment people walk in, to the moment they leave. JWE Corporate is proud to be the leader in high-quality uplighting and lighting options for all venues we service. Our lighting is not only bright and powerful, but also wireless and battery powered, which means we are not restricted to where outlets are, or placements that is “normal”. We are able to be creative and unique, just like you want your event to be! Colored Uplighting and Lighting Options are available nationwide! Pricing starts at $550 for local service. If you dance, or you just like to listen to podcasts, clear audio is important. You want to make sure that you can hear the music you want to hear, or understand what people are saying on that most recent episode from NPR. Making sure that good, clean and clear audio is available is important to not only you but everyone at JWE Corporate as well. We don’t cut corners when it comes to making sure we provide you with the best. When you hire us, we will look at the floor plan that you and the venue provide, and help guide you on what is needed to produce the sound that will be needed for that space. Every event is different because every event has a different layout, a different amount of people and different need. This is yet another reason that makes JWE Corporate stand out, our dedication to you and your event being a success! Complete Sound Solutions are available nationwide! Pricing starts at $750 for local service. Our Glowing Decor Totems have QUICKLY become a new staple for corporate clients wanting something that will truly transform a room into something visually stunning. These totems, ranging in height from 3.5ft to 8ft offer the ability to really capitalize the colors of your event and brand. Each includes a white scrim, that allows us to then add lighting inside of them, to achieve the glowing aspect of the totem. These are perfect for almost any venue, depending on size and location. Sleek and modern are what most clients like about the totems, mixed with the ability to make them match your brand and achieve something new for your event is a one-two punch that your guests won’t see coming! Glowing Decor Totems are available nationwide! Pricing starts at $750 for local service. Photo? Gif? Boomerang? Video? YUP! It does them all! Yes, photo booths are popular right now. Yes, everyone has something different. Yes, ours is VERY different. We love to listen to feedback. We have also heard over and over again that photo booths are fun, but the printed slips aren’t fun to carry around while you are trying to dance, hold your drink, answer a text and eat some tasty snacks! This is where the JWE Selfie Booth© comes into play! The booth itself has a small footprint, which allows us to place it almost anywhere, as well as the options to run on battery power, so not even a wall outlet is needed (if planned on). The photos, gif, boomerang or video is completed, and then it is either emailed or texted directly to you! How simple is that?! To keep things on brand, we can make sure that the colors and design match your colors, and even create a template for the images with your logo to really connect everything on target. The JWE Selfie Booth© is available nationwide! Pricing starts at $450 for local service. up to 3 djs, 1 party, total silence! One of the newest additions to the JWE Corporate services is Silent Disco Parties. What are these you ask?! Simply put, it is exactly what it sounds like. JWE Corporate will provide pre-charged wireless headsets that your guests can wear while they dance the night away! The amazing part about them is your guests that don’t want to dance, don’t have to listen to dance music! They can sit back and relax, continuing to chat, while Deb from accounting gets out there and tears up the floor to a little Bruno Mars! Additionally, you could opt to have 1-3 DJs performing at the same time! Each headset is able to switch between three channels, or DJs, and dance to different mixes/styles/genres/decades/whatever! Deb could love some 80s, while Ryan from the warehouse is loving the country mix and Pam is jamming out to classic rock! The options are endless! Silent Disco Parties are available nationwide! Pricing starts at $1000 for local service. Team building is an element that is integrated into almost everything that Jared and his team does through Game Shows, Parties and Celebrations. Using a very creative and unique structure of custom building the Team Building Elements that YOU and YOUR TEAM need, is what makes JWE Corporate stand out. Yes, we do have lists of structured events that start with, but it’s the creative process of molding them into something that your leadership will appreciate because your ROI on your employees will increase. Pricing for Team Building Elements range from $500 to $6000+ due to the equipment that is needed, the prep that is required, and many other factors. Team Building Elements are available Nationwide!